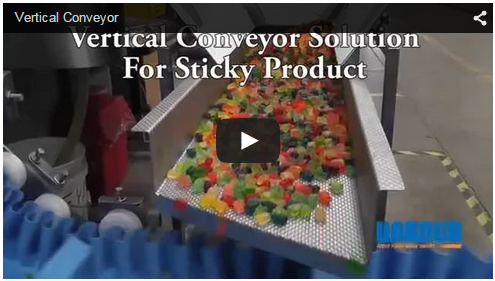 There is no elevation too high or product too sticky for this custom conveyor elevator design. Find out more and see the conveyor in action. We recently moved our blog onto our website. The Dorner Blog is consistently updated with news, press releases, videos, special applications, and more! Stop over and check it out today. We have two new pieces of product literature and one update. The SmartFlex® Engineering manual has been updated with additional information including the Pallet System and Engineered Solutions. The two new pieces of literature are the SmartFlex® Pallet System brochure and the SmartPace™ dynamic pacing conveyor brochure. All literature is available for download on the Dorner Website. We are happy to announce that you can now create CAD models in DTools for 3200 Series Modular Belt conveyors, straight flat belt and cleated belt models only. The LPZ and curve models are still in development and should be released in the near future. Sign up for DTools today! Congratulations to Riley Samari for receiving the 2014 Richard C. Ryan Packaging Education Scholarship! This scholarship was established in honor of Richard Ryan, the former president and CEO of Dorner, who passed away suddenly in September 2012. Ryan was a member of the PMMI Board of Directors and encouraged lifelong learning. Thank you for your continued business with Dorner this past year. We hope you have a happy holiday season and a great new year.